When embarking on a project, it is always important to consider your safety. 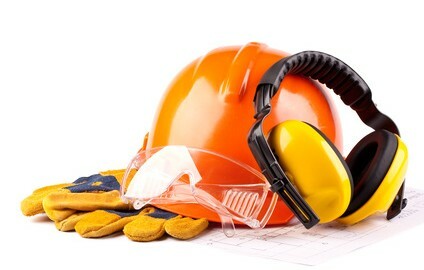 Safety equipment is not only needed for major construction projects, but should also be used for your projects at home. Safety gloves and safety goggles should always be used when handling heavy machinery. They should also be used to prevent things such as splinters and other intrusive materials from entering your eyes or skin. Hardhats are a common sight on construction sites as they are a necessary precaution. At a construction site not everything around you is stable and something falling from above can cause serious damage to your head if it is not properly protected. All safety equipment should fit properly and be well secured to your body in order to avoid any injuries. Our Weekly Safety Equipment Specials!